Bethany Therese�s unique, upbeat comedic style incorporates all aspects of performing. Bethany has played in comedy venues throughout the country including CAROLINES and THE COMIC STRIP in NY, THE THROCKMORTON THEATRE, Mill Valley, THE BREA IMPROV, CARLSBAD VILLAGE THEATRE, THE HOLLYWOOD IMPROV, and various venues throughout Los Angeles. 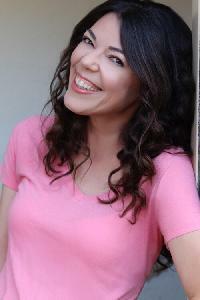 Bethany was also named one of California�s Females and was recently named one of the 3 Funniest People in the OC. Bethany�s TV and film credits include roles in THE SOPRANOS), where she played opposite Steve Bushemi; the film HUMBOLDT COUNTY, with Chris Messina and Frances Conroy; and THE WAYSHOWER w/ Sally Kirkland. Bethany portrayed the quirky ALI in the Broadway Touring Show of MAMMA MIA and sometimes brings her singing talent to her comedic performances.